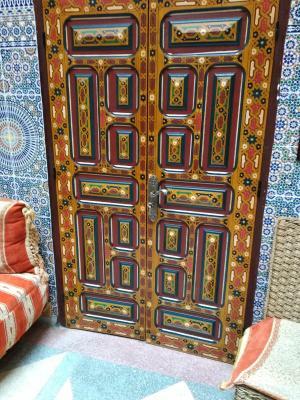 Lock in a great price for Ryad Bab Berdaine - rated 8.5 by recent guests. 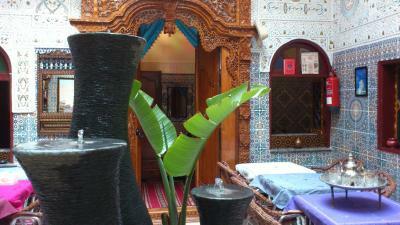 The staff was extremely friendly, very softs spoken and very helpful. 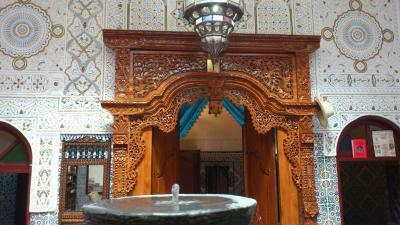 The Ryad was really beautiful and very athmospheric. 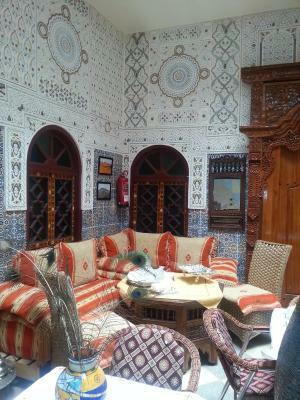 The breakfast consisted of a Moroccan pancake with toppings, a sweet bun, a yoghurt and two cups of coffee or tea. 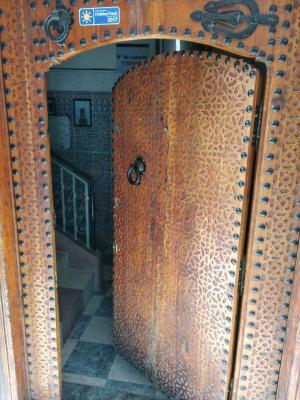 The Ryad was located right in the Medina (yet there was no noise) and the room was very clean. 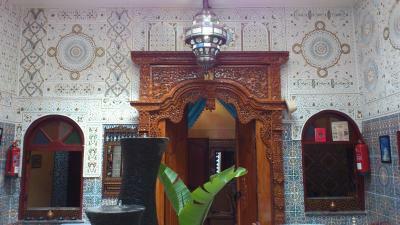 We loved staying here! 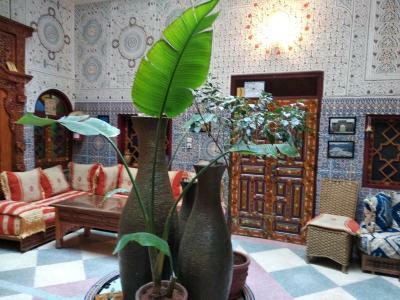 Super Riad at a very nice price! Baub (the young guy) is very friendly and so helpful. You can always ask him and he’ll handle your issues. The rooms are very clean and super staff! 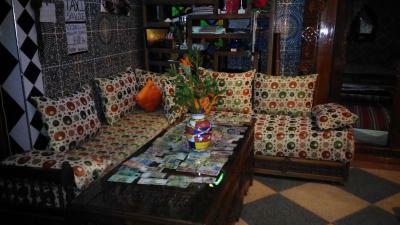 The staff are friendly and very helpful, rooms are big and comfortable. 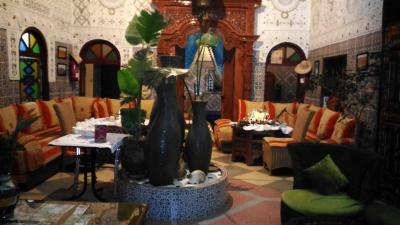 It's easy to find a way to the riad, we arrive Mekens at 11:30pm. 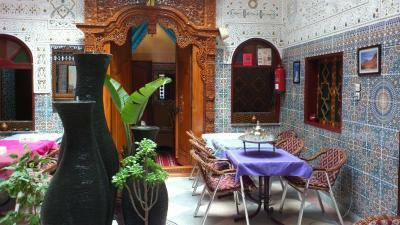 Lovely old building with comfortable rooms and nice rooftop terrace. Breakfast was also very good and generous. 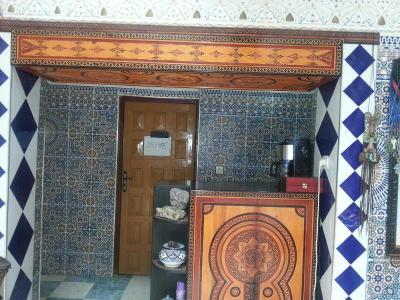 Extremly friendly staff, the receptionist waited for us despite our late arrival. He helped us with charging SIM card and gave us some helpful advices regarding food. 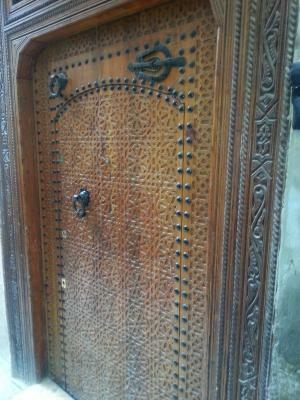 The hotel is 2 min walking away from Medina gate. Very friendly and helpful staff. 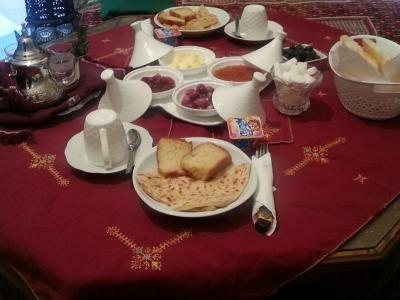 Tasty breakfast and good heating (important in february. Very clean toilets. 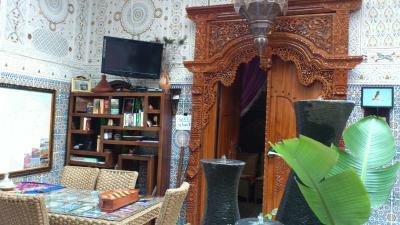 Good location, professional staff, and good breakfast. 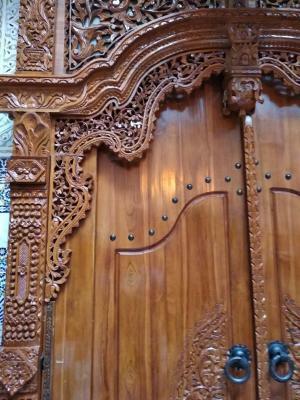 The structure is very elegant and well kept. 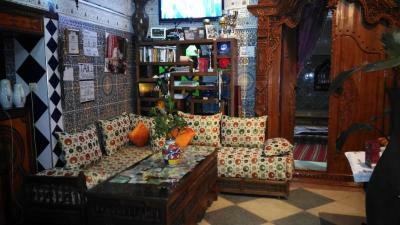 they guy at the reception was very welcoming and gave us information about what to visit and where to go in Meknes. The Ryad was beautiful and Achmad and the ladys there are amazing! 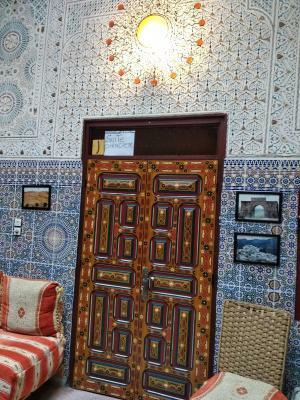 It was a wonderful stay! 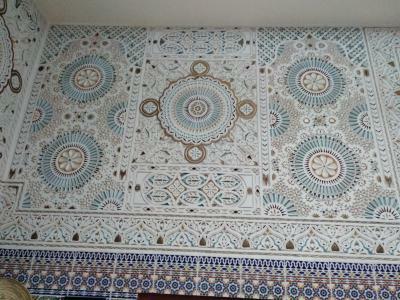 One of our bestsellers in Meknès! 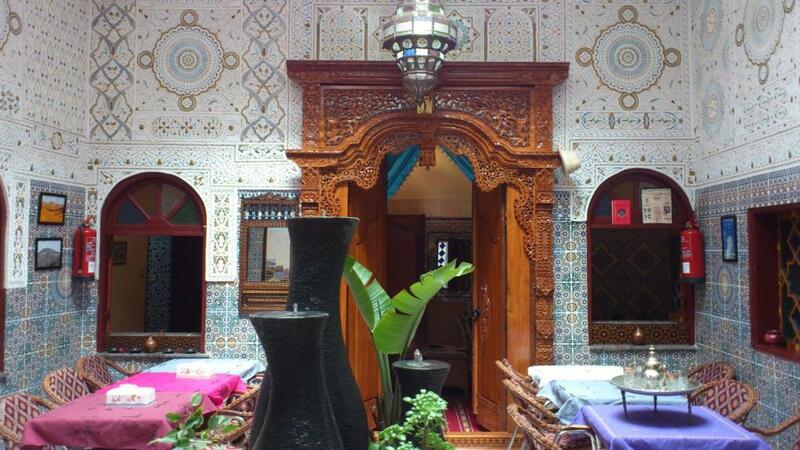 A 15-minute walk from Bab Mansour Door, Ryad Bab Berdaine offers B&B accommodation with free Wi-Fi. 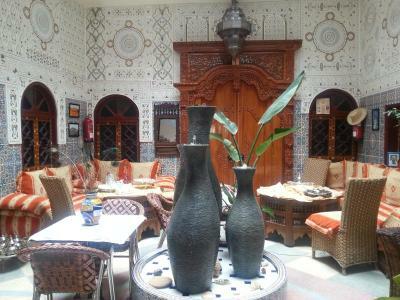 It features a terrace with panoramic views of the Medina and a patio with traditional wall tiles and pot-planted plants. 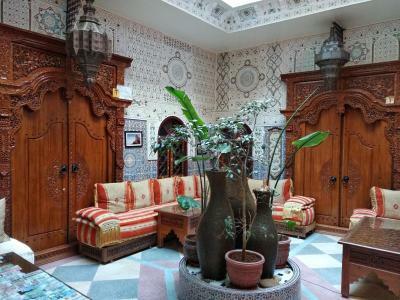 Offering views of the patio, the rooms are decorated in a traditional Moroccan style. 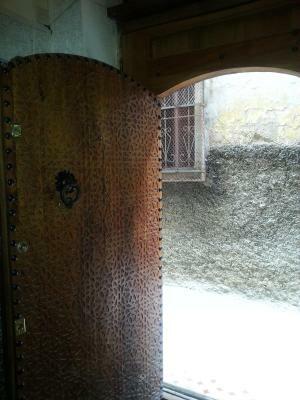 All include a private bathroom with shower and free toiletries, a sofa and a wardrobe. 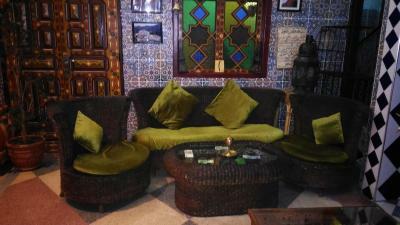 Some also have a separate seating area. 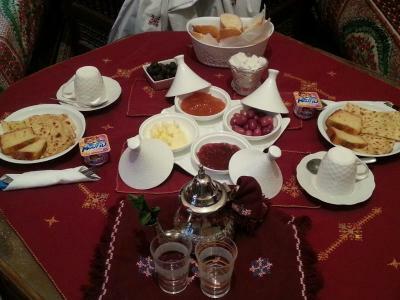 A free, continental breakfast is served daily at Ryad Bab Berdaine. 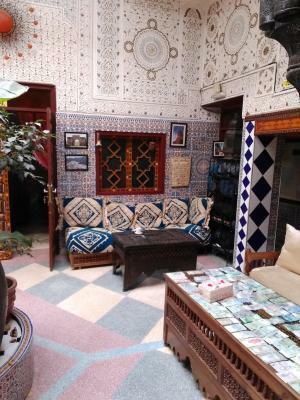 For evening meals, guests are invited to sample local or international cuisine, which may be enjoyed in the dining area or on the B&B’s terrace. 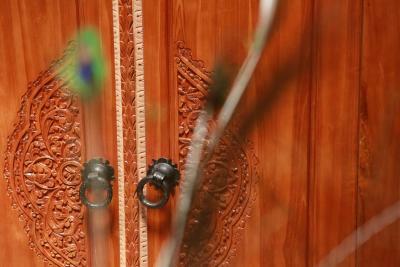 Tours, excursions and airport transfers can be arranged through the 24-hour front desk. Luggage storage and laundry service are also available on site, and public parking is possible nearby. 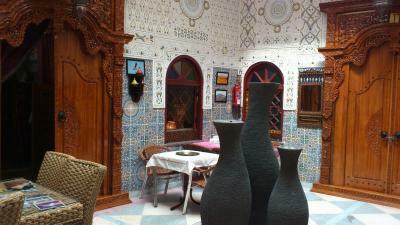 Ryad Bab Berdaine has been welcoming Booking.com guests since 19 Oct 2012. 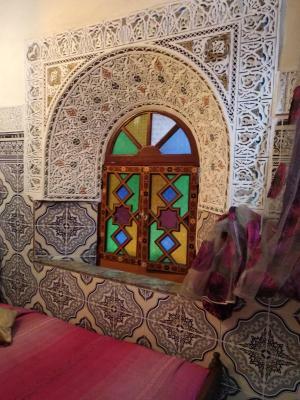 When would you like to stay at Ryad Bab Berdaine? 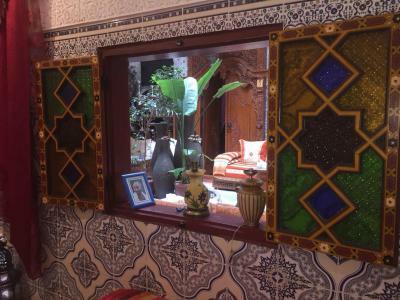 Offering free Wi-Fi access and views of the patio, this spacious, air-conditioned room features a private bathroom. 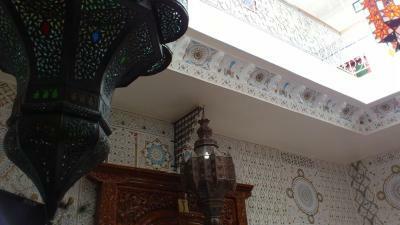 It is located on the first floor. 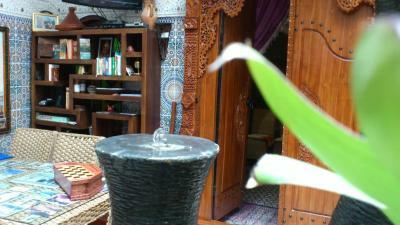 Offering free Wi-Fi access and views of the patio, this air-conditioned room features a private bathroom. Offering free Wi-Fi access and views of the patio, this spacious, air-conditioned suite features a seating area and a private bathroom. 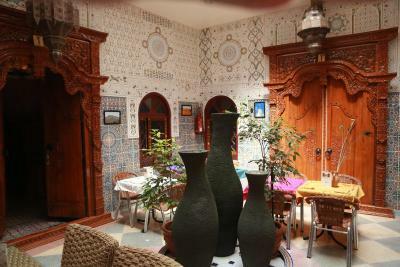 Set close to the patio, this room has a free Wi-Fi and a private bathroom, located 5 meters from the room. 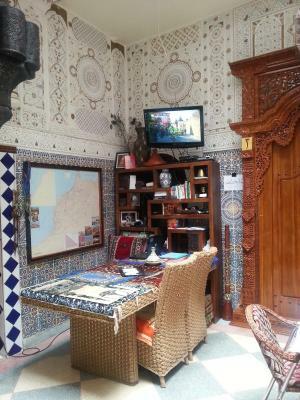 This spacious suite opens onto the riad's patio. It has access to a private bathroom. 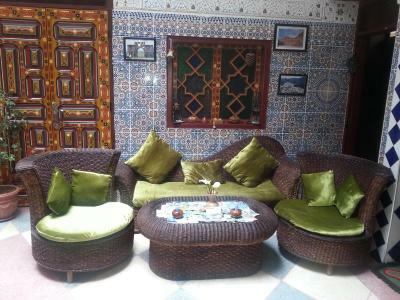 Set amongst the plants on the roof, this suite has a terrace with garden furniture where you can enjoy breakfast. 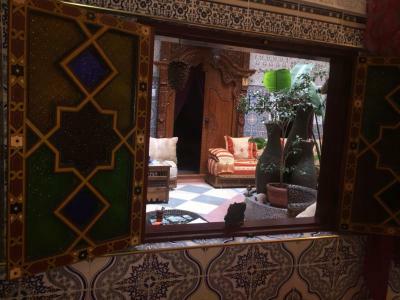 Set on the first floor, this room has air conditioning, a view of the patio and a private bathroom. 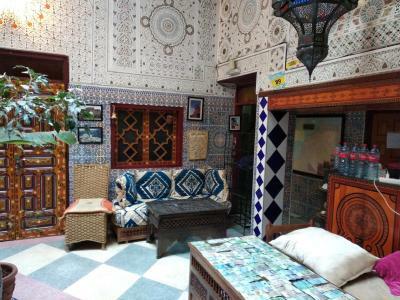 This room has free Wi-Fi internet access. It includes access to a private bathroom. 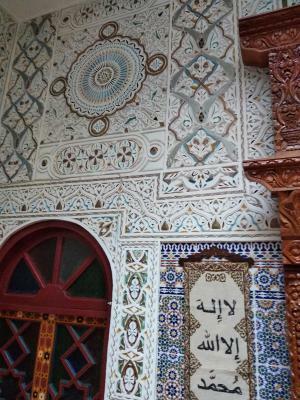 House rules Ryad Bab Berdaine takes special requests - add in the next step! 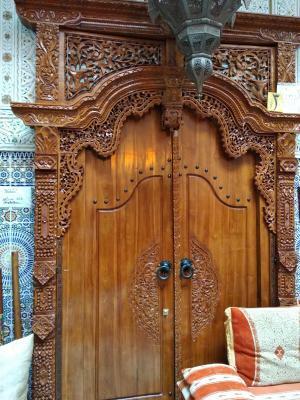 Please inform Ryad Bab Berdaine in advance of your expected arrival time. You can use the Special Requests box when booking, or contact the property directly with the contact details provided in your confirmation. There wasn’t any tend/protection around the shower, a bit weird. Breakfast just until 10 o’clock. 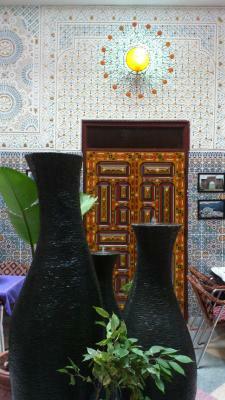 The first time it can be a bit difficult to find the Ryad, but this is mostly due to the Maze that is the Medina! Bathroom is outside the room. 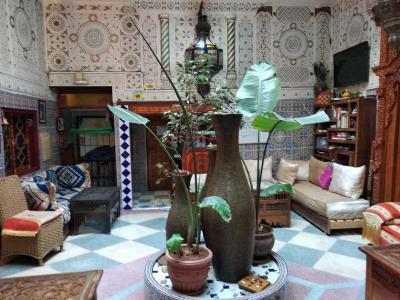 This riad is very beautiful and has a great rooftop. Staff is super nice and helpful. 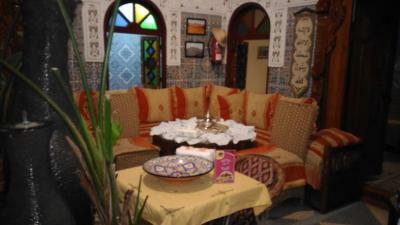 Very nice gorgeous riad in quiet place of medina.Easy to find. 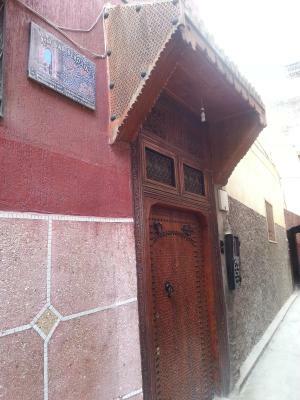 Not far away from parking near Bab Berdaine. Showers had no shower curtains so was a bit messy/wet. Some way to mop up would be good. 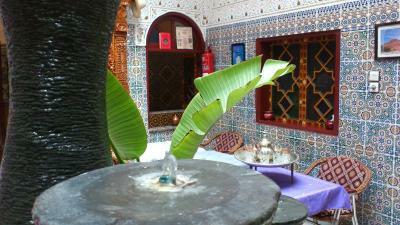 the structure doesn't have private parking but this is quite "forgivable" as the riad is inside the medina. 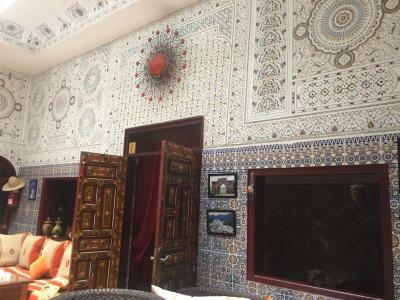 However, there is a parking just outside the main entrance of the city and with few dirhams, the car is looked after day and night without any hassle. The only issue was the location. It was about a mile removed from any services- restaurants, sights, transport. On my morning of leaving I had to walk about a mile to get a taxi. The taxis passing me were all full. The passing buses were full. The staff were friendly. Clean towels, shampoo packets, soap packets were provided daily. I had an with my room and Ahmed moved me the next evening. The rooms were quiet, cleaned daily and breakfast was on time.